We list the pokies with the best return to player percentages for online players. 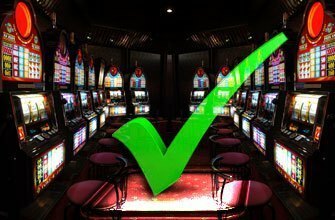 There is an amazingly wide selection of pokies available to Australian players. However, not all of these games have the same features, theme and RTP (Return to Player). This last thing is pretty important to those who want bigger chances to win and in order to help you we've prepared a list of the ten pokies with the best player returns. The return to player percentage is, in fact, the flip side of the pokies' house edge and thus you should stick to machines with high RTP. A reasonable player return percentage is considered to be 96% or higher. Anything lower is to be avoided. 1. Future Fortunes (Rival) – 98.0% - Fortune telling is the theme of this 5-reels and 20 paylines pokie. The crystal ball is the wild symbol, the Ouija board triggers the free spins and the Tarot cards activate the bonus feature. 2. Supernova (Quickspin) – 98.0% - The first three reels determine the payouts with 27 ways to win. If you land a winning combination then the last two reels spin to determine the payout multipliers. 3. Kitty Cash (1x2 Gaming) – 97.9% - This 5-reels, 3 rows and 9 paylines pokie has colourful graphics from a tiny tots book. The black cat is the wild and doubles payouts. The cat food triggers up to 25 free spins. 4. Good Girl Bad Girl (Betsoft) – 97.8% - The fight is between good and evil but you are the winner. You can choose to play in frequent payouts or in high payouts mode. For double the bet you can have the benefit of both. The Money Wheel Bonus leads to free spins, bonus credits and may be the progressive jackpot. 5. For Love Or Money (Rival) – 97.7% - The eternal dilemma told through some fascinating symbols and animation. The writer is the wild symbol and also awards the top payout of 5000 coins. Cupid triggers 10 free spins at tripled payouts. 6. Downtown (1x2 Gaming) – 97.7% - The online pokie has a murder theme with artwork in black and red and stereotype characters as symbols. You can win up to 15 free spins with doubled payouts and a shootout round for bonuses. 7. Winter Wonders (Rival) – 97.7% - Australians do not get a white Christmas and will therefore love this online pokie. You have regular the festive symbols. Wins are doubled during free spins. 8. WhoSpunIt (Betsoft) – 97.7% - The amazing 3D characters seem to appear from the game of Cluedo. You collect clues to enter the bonus round. The suspects appearing at the same time trigger free spins with your choice of feature. 9. Gypsy Rose (Betsoft) – 97.6% - Your future will be bright with this fortune teller because of the awesome gaming features: free spins, wild respins, instant wins, pick objects bonus and double up game. 10. Hot Shots (Isoftbet) – 97.2% - A great looking 243-way soccer slot with free spins and expanding wilds. Top win is 2500 times your line bet. So there you go. That's the A-list of pokies. If you want to put yourself in the best possible position to win, play games with a high RTP percentage. Grab any advantage you can over the casino.